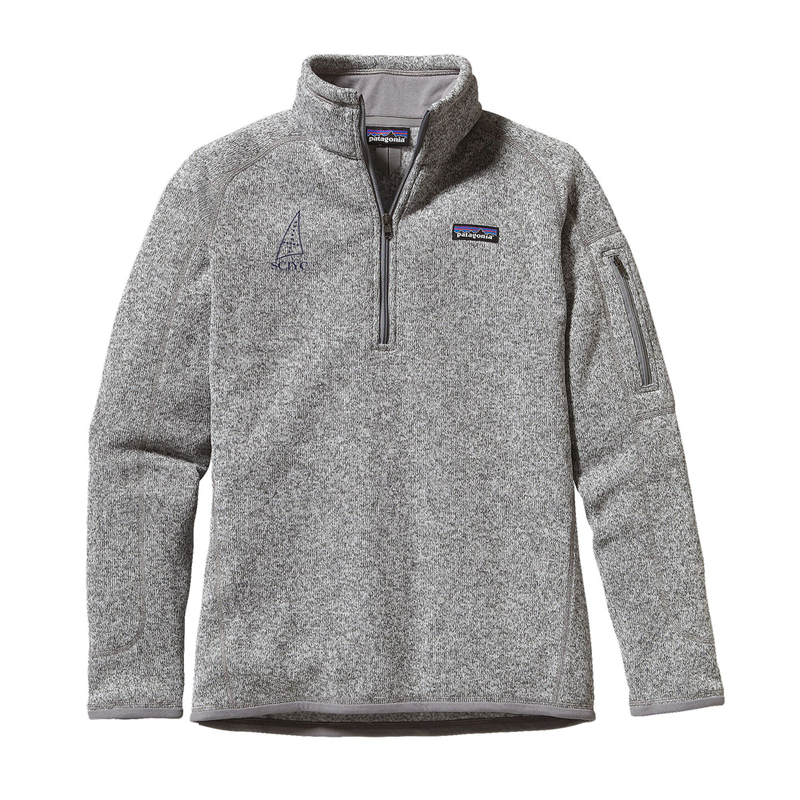 This fleece has the Seawanhaka Corinthian Junior Yacht Club logo embroidered on the right chest. Using a refined wool alternative, the Better Sweater® fleece has a sweater-knit face that slides easily under a shell and a soft, fleecy interior that can be layered or worn next to the skin. Always striving to reduce our environmental footprint, the fleece is dyed with a low-impact process that significantly reduces the use of dyestuffs, energy and water compared to conventional dyeing methods. Supple micropolyester jersey fabric trims the wind flap, cuffs and hem. With a stand-up collar and quarter-length zipper (with garage), zippered left-sleeve pocket and princess seams on the back.